Coral bleaching poses a serious threat to the Great Barrier Reef, according to a new study. Photo: Vardhan Patankar/Wikimedia Commons. A recent study has found that the number of new corals in the Great Barrier Reef has fallen by 89 percent, as compared to historical levels. 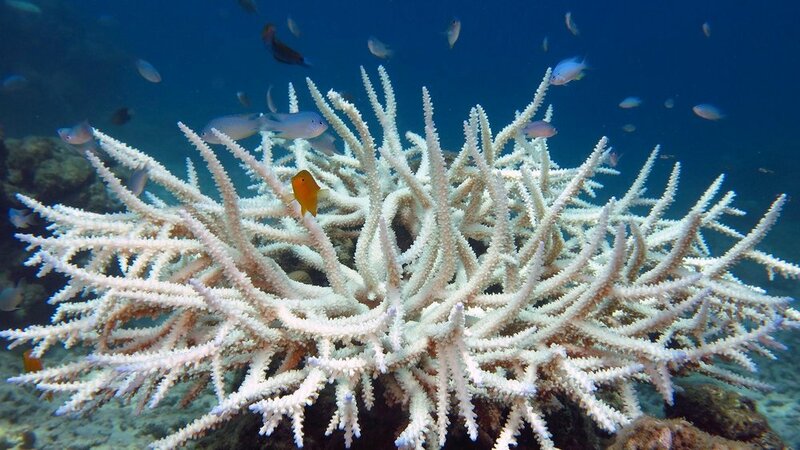 The study, which was published on April 3 in the journal Nature, examined the ecological effects of mass coral bleaching events that occurred due to increased ocean temperatures. The Great Barrier Reef covers an area of 348,000 square kilometers off the northeast coast of Australia and was declared a UNESCO World Heritage Site in 1981. According to UNESCO, it contains the world’s largest collection of coral reefs, with approximately 400 types of coral, 1,500 species of fish, and 4,000 types of mollusc. It is also the habitat of endangered species such as the large green turtle, making it an important site for scientific analysis. The Great Barrier Reef has suffered over four mass coral bleaching events in the last two decades, with back-to-back occurrences in 2016 and 2017. Coral bleaching occurs when increased sea temperatures cause the expulsion of algae from inside of the coral, turning the coral white. Algae serve as the main energy source for coral, and while the algae can recolonize if the water temperatures drop, the coral will eventually die if the water temperature remains high. Coral bleaching has been directly linked to global warming, and according to Australia’s Minister for the Environment and Energy Josh Frydenberg, climate change is the “number one threat” to the Great Barrier Reef. The Great Barrier Reef. Photo: Wise Hok Wai Lum/Wikimedia Commons.